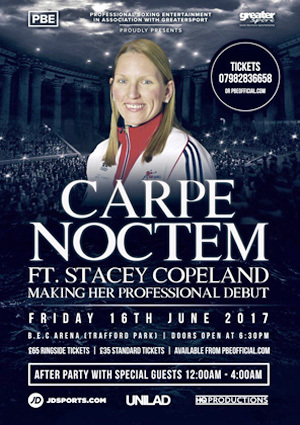 Stacey Copeland is a boxer, having recently turned professional, who began training at an early age at her grandad’s gym in Stockport, following in her father Eddie’s footsteps, who was an ABA champion in 1979. 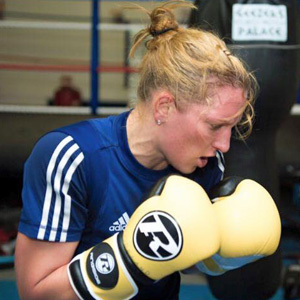 With no opportunities for female boxers when she was younger, Stacey took up football, where she played in the women’s premier league and FA cup final, before she decided to hang up her boots and commit to competing in the ring in 2010. 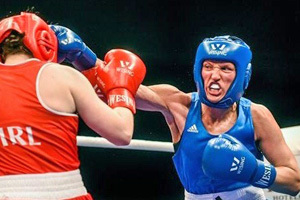 Stacey made her amateur boxing debut in 2011 and is now a three-time national champion, and outside boxing she runs a project called Pave the Way, where she gives motivational talks at schools, colleges and other organisations. 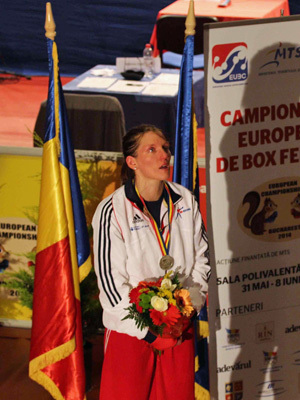 As an amateur boxer, I have won three national titles, European silver, multi nations gold, and have won several tournaments such as the Haringey International and Golden Girl Box Cup. I have now turned professional and have my debut in June. I don’t know exactly what made we want to be a boxer, my dad was a boxer and my granddad runs our gym, and from the first time I went in the gym as a six-year-old I just loved it. At that time, it was illegal for women to compete, so eventually I went into football as there were no opportunities in boxing for me back then. However, things have since changed, and when I returned from playing football abroad, I knew I wanted to pursue my dreams of becoming a boxer. I can’t explain why I love boxing as it’s just a feeling which runs deep in me for the sport, but I know what I like about it – the fact that it tests you on every level as an athlete and a person. It gives me purpose and goals, and it has presented me with so many opportunities to grow in ways that go beyond sport. I also enjoyed watching boxing as a kid, whether it was the pros on TV, or the lads from our gym in the local amateur shows. I didn’t have any female role models as there weren’t any at the time, but I was still inspired by the male boxers and that also led me to want to fight as well. A typical day starts with a morning training session before work, then I have a full-time job in the day where I work in a secondary school leading intervention programmes with our students. I go straight to the gym after work and do my boxing session, then I go home and after I’ve showered, eaten and prepared my stuff for the next day, that’s when I do all my other work such as projects, community work etc., so a lot of things get done late at night! I don’t tend to need much sleep so that is helpful when cramming lots of things into every day! I think we must challenge myths around strength and femininity on many different fronts. Firstly, in terms of physical strength, athletes like me must be visible role models to young girls, to show them that it is a great thing to be physically strong and to view our bodies as something that can help us to achieve amazing things, not just be looked at. As for emotional and mental strength, I think we should simply make it clear to youngsters that girls and women ARE strong in these ways, contrary to the ways we are often portrayed in movies, cartoons and other mediums. I think campaigns such as Strong is the New Pretty, with images of strong women are impactful. I feel that the media has an enormous role to play – if strong and successful women are missing from their pages / airways / screens then they ought to include them, and when they do, make it positive and be mindful of how they go about their reporting and coverage. Disney is getting better at including strong female characters in their cartoons, but we need music videos, video games, sporting events, and lots of other arenas to also get on board with valuing women for something other than their bodies and sexual attractiveness. We also need to consider the toy industry and the way they target children by gender, and clothing companies who decide what words or images go on children’s clothing. There’s so many ways that we need to do it and it’s going to take a massive shift in attitude, but it can be done over time with consistent action and a collaborative effort. The Pave The Way project is to celebrate Women’s Sport Week in June, but we already have plans to go beyond that week, which is great. The project is about paving the way for girls and women to get into sport, whether that is taking part for enjoyment, working in sport, aspiring to be an elite athlete … whatever it is, we want to help girls and women to reach their full potential through sport. We have many events planned throughout the week including an inspiration day involving high school students, eight primary school visits, an exhibition day in the town centre, a walk for all, boxing gym visits … tons of things! Hopefully we can have a positive impact throughout the week. There are some brilliant initiatives, campaigns, and organisations working to redress the balance and change perceptions of women in sport. 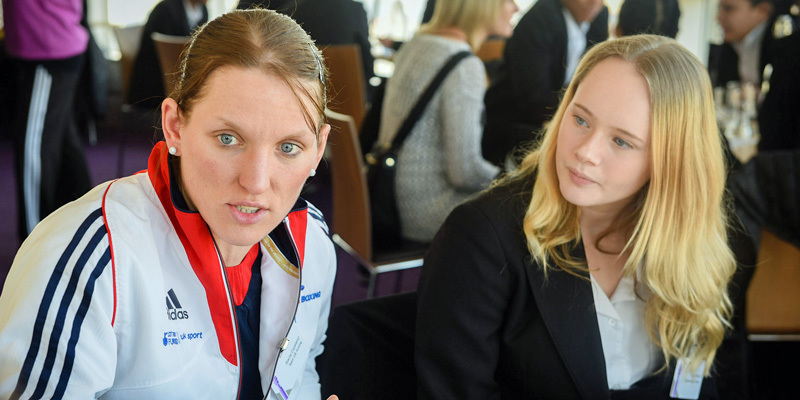 They are doing so by making female athletes more visible and celebrating their successes, by launching impactful campaigns such as #ThisGirlCan, by working with companies and media outlets to ensure they are aware of gender issues and how they can improve their way of working. There is so much great work going on and this is great to see … collectively it all makes a difference. At the Women’s Sport Trust #BeAGameChanger awards a few weeks ago, the theme was very much about being loud, banging the drum for women’s sport and getting the message heard, I think this is great way to describe the movement going on right now in women’s sport. It would be impossible for me to compare opportunities for women in sport in the UK with the rest of the world as there are entire continents which I have not yet even visited. However, I can say that the high school and collegiate sports programme in the US are incredible and provide young people with fantastic opportunities. I spent five years in America on a sport scholarship and it was a life changing experience for me. Title XI was introduced in the US in 1972 which meant that educational facilities could not discriminate based on gender and this ensured that female athletes got the same opportunities as men in college sports. 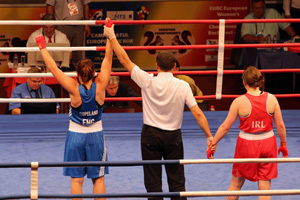 As a footballer and boxer, I have lived or just visited to compete in the following countries – Korea, Sweden, Brazil, Japan, Romania, Serbia, Germany, Kazakhstan, France, Spain and the US – and I have competed against women from many other nationalities, too. I do not know exactly what opportunities exist for women in each of those countries, but I do know two things that each place has in common. 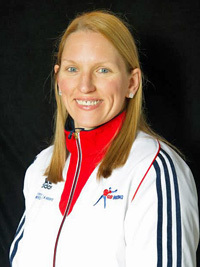 Firstly, the perception, exposure, and coverage of women’s sport is not what it ought to be, and secondly, regardless of the race, culture, or any other type of background imaginable, I have yet to meet a single woman who has not been empowered, strengthened, and had her life enriched by her involvement in sport. I make my professional debut on Friday 16th June at Bowlers Exhibition Centre in Manchester, so do come along and watch! I’d love to see you there. Please help me to Pave The Way! Main image courtesy of Inspiring Women.